Odell Beckham appears to be enjoying the offseason — maybe a little too much. In a video that went viral Friday that will make the Giants front office and their fans alike cringe, the star wide receiver is seen relaxing in bed with some pizza and what appears to be a suspicious thick brown cigarette in his left hand. As the camera pans, a woman is seen next to him with a credit card laying in front of what looks to be a white substance. The Giants told the Daily News they are aware of the video and have no comment. It appears that the Giants wideout was not aware he was being recorded. Beckham has made multiple questionable choices since the Giants drafted him. Following the Giants loss in the 2017 NFC Wild Card playoff game to the Packers, an emotional Beckham punched a hole in the wall outside the visiting locker room at Lambeau Field. A week prior to the 38-13 loss to the Packers, in which Beckham had multiple dropped passes, the wide receiver, along with other Giants wideouts Sterling Shepard, Victor Cruz and Roger Lewis, went partying with Justin Bieber and Trey Songz on a boat in Miami. Even on the field, Beckham has misbehaved. Against the Eagles at home last season, the wide receiver celebrated a touchdown catch by pretending to pee like a dog. That left a bad taste in John Mara's mouth. "What he did was completely unacceptable and he knows that and I told him that in no uncertain terms,” Mara said after the incident. 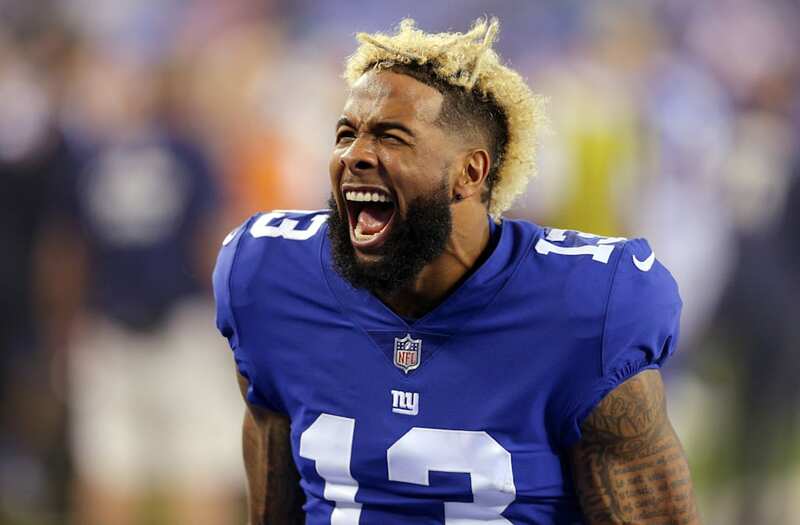 Other Beckham shenanigans include him banging his head against a metal door after a Giants loss in Philadelphia, getting suspended after using his head as a weapon in a fight with Josh Norman and losing his call against Xavier Rhodes.